You’re planning the trip of a lifetime and you couldn’t be more excited. From the striking views to the turquoise seas and from the ancient sites to the amazing snorkeling and diving possibilities, you’re looking forward to enjoying everything the French Polynesia has to offer. And since no trip is ever complete without the hunt for the perfect souvenirs, we’ve narrowed down for you three of the best things to shop for on your exotic holiday in French Polynesia. There’s no better treasure to take back home from the French Polynesia than an iridescent black Tahitian pearl – or, better yet, a whole string of these exquisite gems of the sea. While they are called ‘black’, Tahitian pearls come in a plethora of colors, all dark and mesmerizing, from peacock shades like green and purple to gray-blue and shimmery bronze. If you don’t have a big budget for one of these exquisite gems of the sea, you can find beautiful, yet off-round or slightly imperfect black pearls at the local markets on the islands for just under $50 a piece – and if you are willing to invest in high quality gems, be prepared to spend anything from $300 to $10,000 for an exquisite pearl necklace. 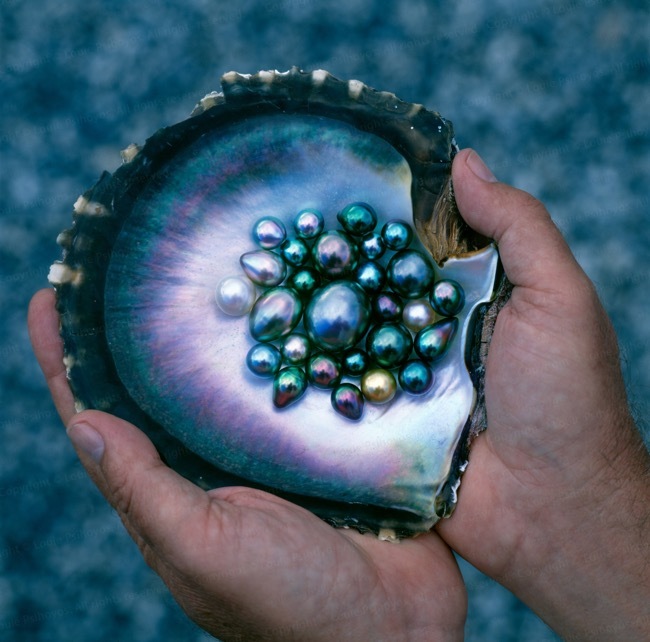 As the world’s largest producer of black pearls, French Polynesia is abundant in stunning pearls of different sizes, hues and quality, which all determine the pearl’s value. For larger ones (that can measure up to 17 mm), expect to pay more – and if you are on a budget, opt for a smaller pearl (at around 10 mm in diameter) that you can later incorporate in a stunning custom jewelry piece. If you are looking for a home décor item to buy as a souvenir, there’s no better choice than a unique Tiki statue. While these eccentric-looking wood statures might often have a frightening exterior, they symbolize anything but. 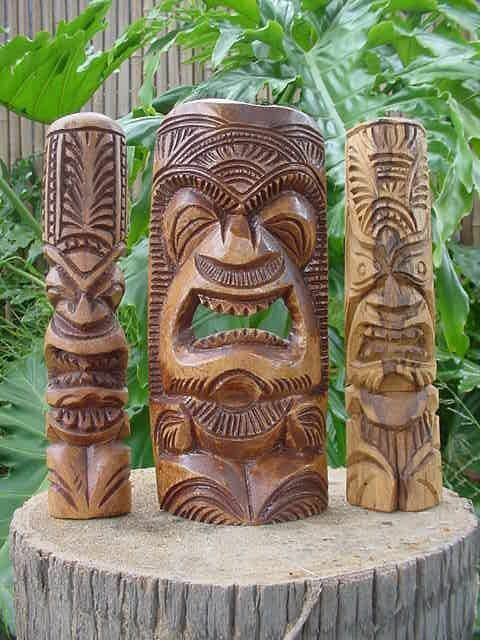 Carved both from wood and stone, Tiki statues are specific to the French Polynesia islands, as well as Hawaii – and they serve as protectors of the land. While some Tiki statues can reach a few feet in height, others will comfortably fit into your luggage. Tiki statues represent various gods of the Polynesian mythology, each having a very distinctive look that represents the legendary importance of a deity. If you are looking for a symbolic souvenir that also doubles as a good luck and fertility token, Tiki statues are definitely one of the most authentic items you can purchase on the islands of French Polynesia. 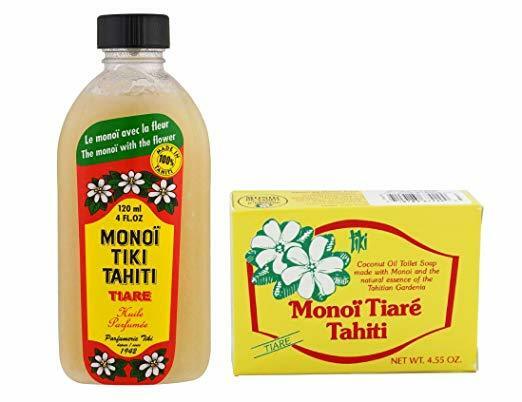 Channel the beauty of Polynesian women with their number one trick of choice: monoi oil and soap, known for their amazing skin moisturizing properties. Perfect for all kinds of skin but particularly for dry types, the monoi soap you will abundantly find on the islands of French Polynesia is handmade and delicately fragranced, often with tiare, namely Tahitian Gardenia. Often times, you will find both the monoi oil and soap with vanilla scents, as well as coconut and other tropical fruit. In addition to its skin-hydrating properties, monoi comes with valuable protective benefits that help the quality (as well as stimulate the quantity and growth) of your hair – and Polynesian women take full advantage of this fact, applying a weekly monoi oil hair mask, as well using a few drops before swimming in the sea or pool. Perfect as gifts for your family and friends back home, monoi products can be found anywhere and everywhere on the French Polynesia islands, from Tahiti to Bora Bora and from Mo’orea to Taha’a.